"Boy With Luv" is a banger if ever we've heard one! Ever since we were teased with it earlier this week, we've been anxiously anticipating "Boy With Luv," the collaboration between K-Pop powerhouse BTS and our fave bi pop queen Halsey! And now, the wait is finally over! The entire song and video dropped earlier today, and let me be the first to admit that it is a total, complete, and utter banger!! From the choreography to the all-pink ensembles to Halsey's wig, everything about "Boy With Luv" is pretty and perfect and I'm woulddn't be suprised if this track paved the way for more collaborations between K-Pop and American artists. 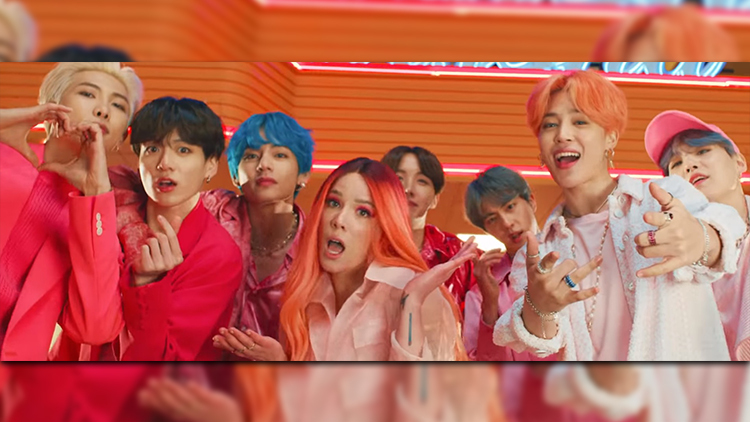 Listen to BTS & Halsey's "Boy With Luv" in the video below!